Mark's "demo with the lot" is our new, stress free learning zone in Lennox Head. 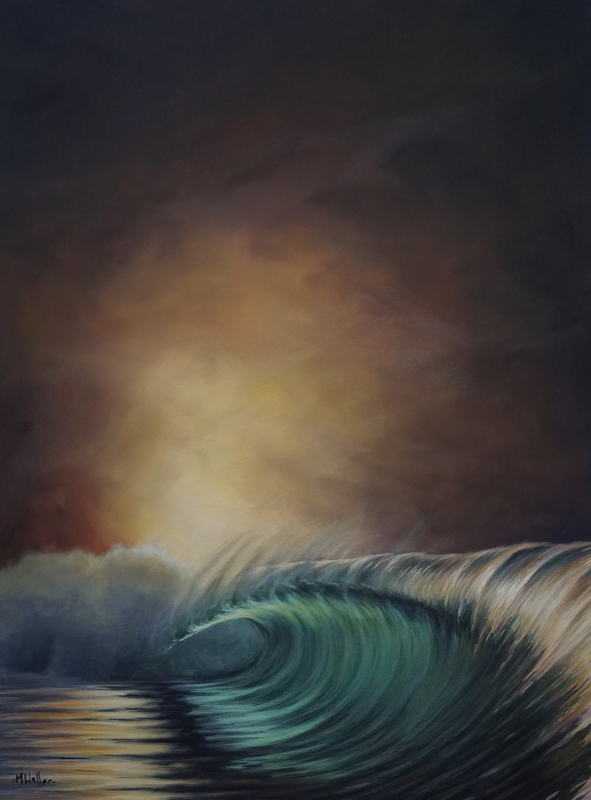 Watch the magic unfold as Mark creates a gorgeous, dramatic wave painting similar to this one. Take your own notes, photos and video, and ask all the questions you want in a comfortable, accessible, nurturing environment. Includes all day snacks and tea/coffee, all the painting knowledge you can handle PLUS your chance to win the painting in an exclusive raffle at the end of the day. 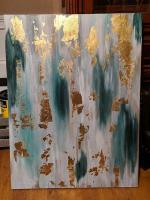 Join Mark at Melbourne Art Direct in Pakenham, Vic for this new workshop. Learn how using paint recipes supports your painting process and create your own beautiful beachscape following Mark's processes. 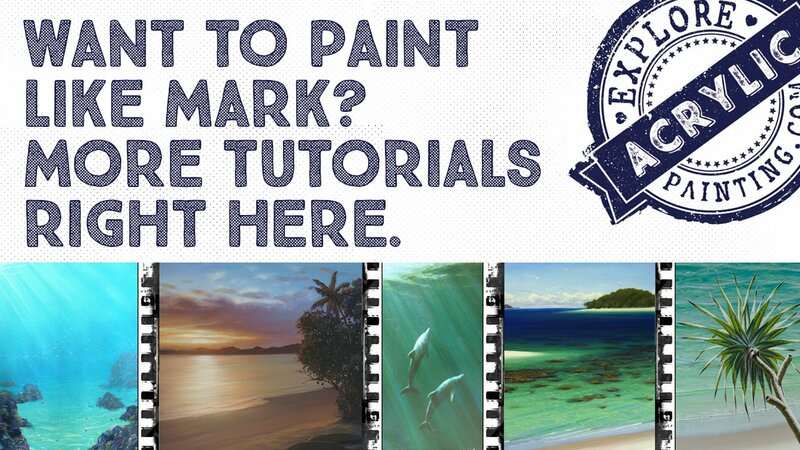 Cost includes your copy of Mark's "Beachscapes - paint recipes" book. A non-refundable $50 deposit with confirm your place. To book contact us through this form. For news of upcoming workshops in your local area, check here! To check out past workshops, click here. As you may now know, Mark was hospitalised with a brain tumour on the 19th May 2016 the day after his solo exhibition "Time & Space" in Fremantle WA closed, and the day before a series of sell-out workshops were due to commence in the South-West of WA. Surgery to attempt to remove the tumour occurred on the 23rd May, 2016. Mark received results from pathology indicating his melanoma (from 2013) had reappeared in the form of a brain tumour. They also discovered 2 tumours on his lungs. His treatment requires an ongoing mix of immunotherapy, drug therapy and radiotherapy; as well as regular scans and assessment. Due to the ongoing treatment and rehabilitation Mark requires, his workshops and classes for 2017 and 2018 were structured slightly differently; to allow him to rest when required. Managing a group of diverse people, teaching and painting at the same time, is extremely challenging - and we will continue to take it slowly with workshops planned for 2019. We want to make you aware if you have attended a workshop with Mark in the past, it will now be a slightly different experience. In saying all that we are committed to providing you with a quality learning experience packed with information to improve your painting process, and will do our utmost to deliver this. Mark commenced radiotherapy treatment in early 2018 and his subsequent scans have come back with all tumours inactive. However, he will still receive immunotherapy treatment until October 2018, and this treatment does have side effects. He had a bronchoscopy in January 2019 as a subsequent scan showed some irregularities in his right lung. The results of this showed inflammation in the lung due to the immunotherapy treatment. However, as at January 2019, Mark is so happy to share that there is no evidence of cancer in his body. We want to thank you all so much for your continued love and support. It means so, so much to not only Mark, but all of us close to him. Due to this news, Mark is keen to get back into workshops in 2019. We will continue to monitor his energy levels before planning future workshops. If you are subscribed to our workshops mailing list, you will be the first to know of any upcoming workshop events in the planning. Subscribe to Our Workshops Mailing List! This is not as difficult as you might think, as Mark is willing to travel pretty much anywhere, and is always up for a new adventure, pending health. If you can get a group of friends together who are interested in having Mark as a workshop tutor, please don't hesitate to contact us! For all past workshops -- notes, experiences, videos and more, click here. This is the place to visit if you are considering a workshop but don't know what to expect. Can't attend a workshop? 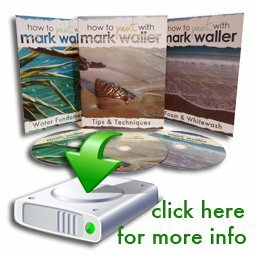 Mark also hosts tutorial webinars from time to time. Check out our past webinars right here. 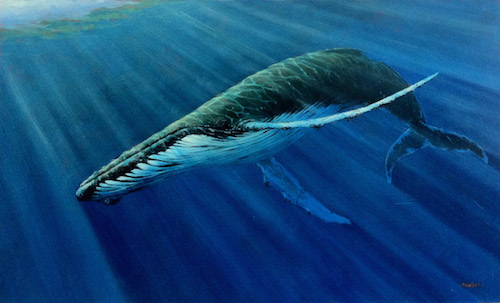 For all the latest updates on upcoming workshops, as well as great tips, techniques to take the pain out of your paintings, and subscriber only deals, subscribe to our monthly ezine Acrylics Anonymous! Thanks heaps! Hope to see you at a workshop soon.